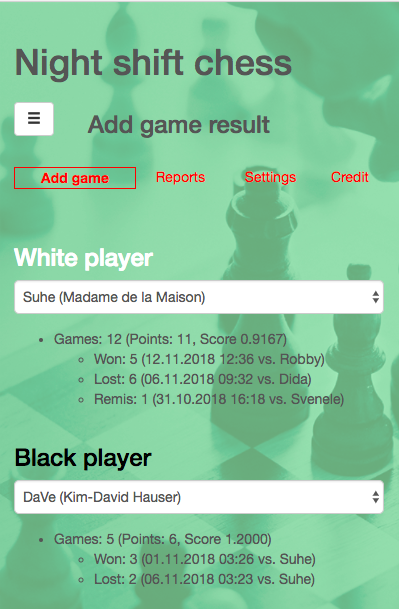 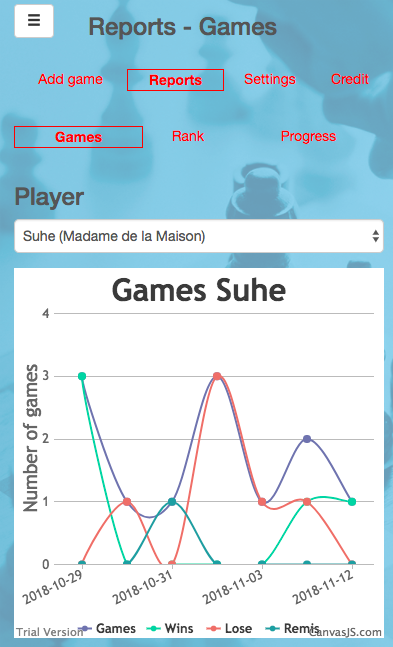 The app has multiple options to allow the players to customize the look and feel of the Night shift chess app after login so you feel More comfortable with yuor views and reports. 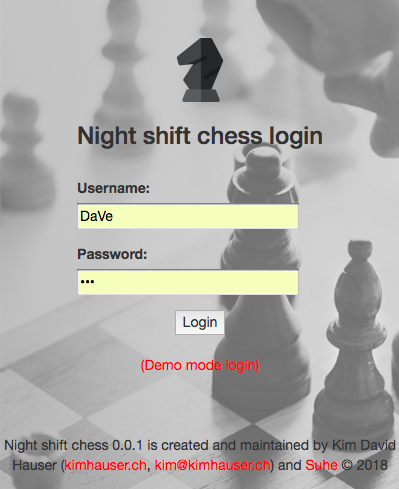 Night shift chess was designed as a responsive web app with the help of PHP, JQuery and the Bootstrap lib. 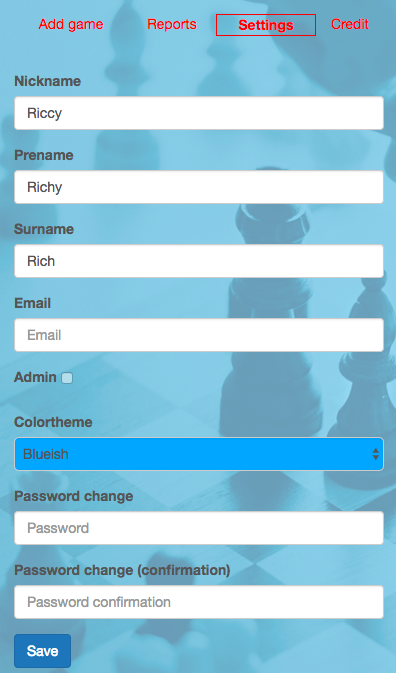 This way it's easy to maintain and customize the app for use on all platforms and devices no mather wether it is used on a huge flat screen or a tiny mobile deivce.